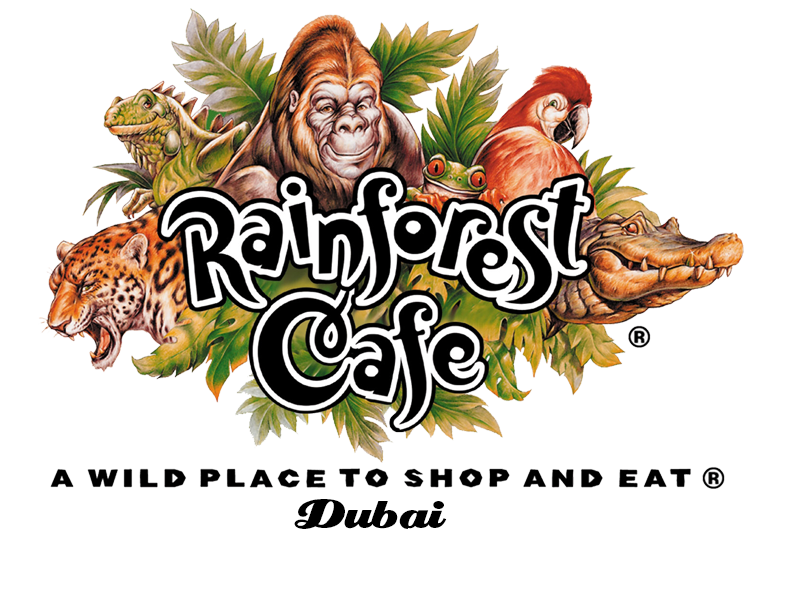 Located in the heart of the Dubai Mall since 2009, Rainforest Cafe is designed as an exotic jungle that recreates the sights and sounds of the Amazon rainforest. This spectacular dining experience enables guests to enjoy great food and drinks whilst the unique jungle surroundings are brought to life with the help of stunning special effects and lifelike animatronics. Be amazed as all around you there are tropical showers, cascading waterfalls and periodic thunderstorms. Prepare to be delighted as you explore the whole restaurant and get close to the magnificent rainforest animals, including elephants, jaguars, crocodiles, gorillas, mechanical butterflies and orangutans.